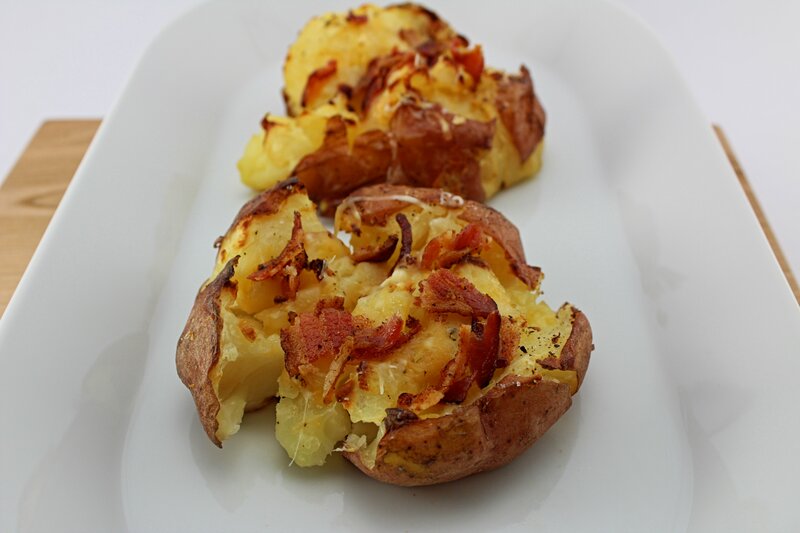 Bacon Smashed Roasted Potatoes are a unique spin on baked potatoes. 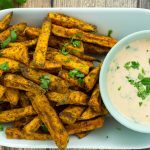 Guilt free potatoes that are smashed and roasted! 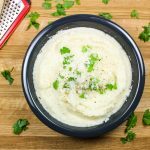 Weight Watchers friendly recipe- 7 SmartPoints! Ahh, the glorious potato. There is nothing better than eating a side of potatoes. Mashed, baked, fried… it’s all good! French fries are by far my favorite way to eat potatoes. I could eat french fries EVERY DAY, but that’s probably not the smartest thing for my waist line. My second favorite way to eat potatoes are baked. There is nothing better than puffy potatoes topped with cheese and bacon! 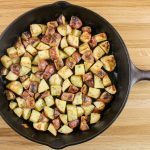 When I’m craving potatoes but want a healthy version, I make my Bacon Smashed Roasted Potatoes. 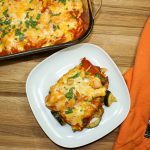 This is a Weight Watcher friendly recipe and 7 SmartPoints per serving. I love to bake potatoes in the oven because you can pop them in the oven then walk away! 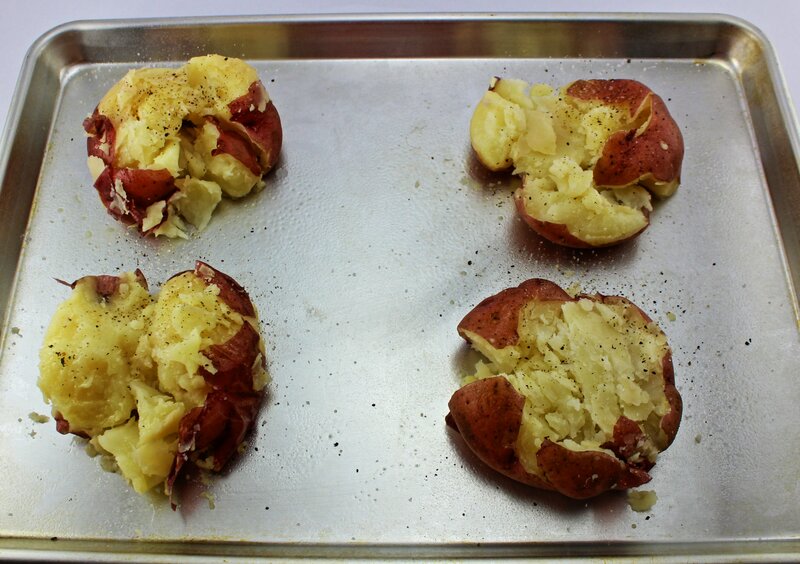 Red potatoes are my favorite to bake because they cook rather quickly and evenly in the oven. The secret to speed up the baking process is to boil the potatoes first, then bake them. This technique cuts the baking time down by 75 percent y’all!! Just boil the potatoes for about 25 minutes, then let them cool. You could totally do this a head of time and store in the refrigerator until you are ready to bake them. Once the potatoes are smashed, spray each potato with non-fat butter spray and season with salt and pepper. Pop them into the oven and let those puffy potatoes bake for about 25 minutes or until the tops are golden brown. Once they are baked top each potato with more non-fat butter spray, cheese, and crumbled bacon. So good!! I wish I could eat them right now!!! These Bacon Smashed Roasted Potatoes are puffy, cheesy, and the perfect side dish for any picnic or bbq! Wash potatoes, pat dry, and boil in a pot of water until potatoes are fork tender. Spray a baking dish with non-fat cooking spray. Place potatoes in the baking dish and gently press down on potatoes to smash them. Spray potatoes with non-fat butter spray and season with salt and pepper. Roast potatoes for 25 minutes. Top with butter spray, cheese, and crumbled bacon.